We have an excellent variety of Fly Fishing Chest Packs, Backpacks & Hip Packs for anglers of all experience levels and budgets . Whether you want to travel fast and light or stuff several day�s worth of gear in a backpack for an extended fishing trip, we have you covered (packed) on one of the products offered at the Caddis Fly Shop by Fishpond, Simms, Sage, Patagonia, or William Joseph. 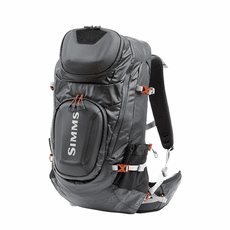 Guide Reviews and Video of Chest Packs, Backpacks & Hip Packs. The Caddis Fly Shop inventories an excellent and diverse collection of Chest Packs, Backpacks & Hip Packs. Our guess is that we have just what you need and invite you to give us a call if you have something in mind that you don�t see listed here. Our inventory of Packs, backpacks, hip packs and waist packs includes many shapes, colors, and are called by many names, but we � as anglers, -- love to carry spare hooks, leaders, hook hones, water bottles, energy bars, lip balm, bunion sanders, and giant rolls of Duct Tape when we are on the water. We could stuff these in a paper sac (not a good idea if it rains), a plastic grocery bag (OK, but not very convenient), or reach for our favorite fly fishing fishing vest, hip pack, fanny pack, shoulder sling, Leather man-purse, or whatever. 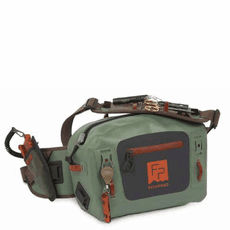 Some of us go to our fly fishing vest closet and select from our alphabetized array of always-loaded-for-bear fly fishing chest and fly fishing hip packs and fly fishing vests stored by season, species and so on. The Caddis Fly Shop is dedicated to stocking a broad array of options for carrying spare necessities for the angler, bird watcher, dinosaur hunter, virologist, or photographer. We got fly fishing vests and other gear that you an array all sorts of cool stuff in. We got hip packs. We got chest packs. We got lanyards. We got Simms, Patagonia, William Joseph, Fishpond, Sage, and Redington. 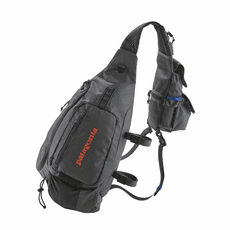 We inventory these quality fishing vests, packs, and the like, starting with basic and including the fancy and or specialized techno gear.